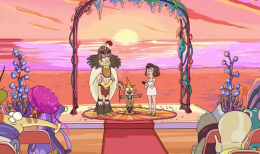 Post Tagged with: "rick & morty"
Dylan Hysen and Delaney Stovall discuss the Rick and Morty Season 2 finale! 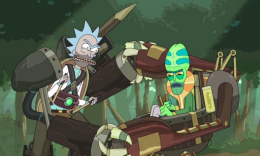 Dylan Hysen and Delaney Stovall discuss the latest episode of Rick and Morty, “Look Who’s Purging Now”. 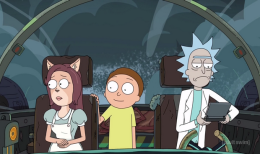 Dylan Hysen and Delaney Stovall discuss the latest episode of Rick and Morty, “Interdimensional Cable 2: Temping Fate”. 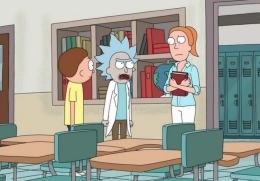 “Big Trouble in Little Sanchez”, the latest episode of Rick and Morty is discussed by Dylan Hysen and Delaney Stovall. We discuss the first episode of the 2nd season of Rick and Morty, “A Rickle in Time” as Dylan Hysen is joined by Delaney Stovall.